Los Angeles, California (3 September 2014): Contemporary jazz luminary Brian Culbertson continues to commemorate his 20th anniversary as a recording artist in a prolific way with two vastly different projects: his first live album, which will be recorded during a four-night stand (September 11-14) at Yoshi’s Oakland, and the release of a 31-minute solo piano piece entitled “Breathe,” created as therapeutic accompaniment for relaxation, massage, yoga and meditation. “I really wanted to capture this moment in time because it is such a milestone,” said Culbertson about the live album slated for release on his next birthday, January 12, 2015. Tickets for the Yoshi’s engagement are expected to sell out and anyone who preorders the album at the show will have their name included in the album’s liner notes. A lifestyle curator who founded and serves as artistic director of the annual wine and jazz festival the Napa Valley Jazz Getaway, Culbertson explores an entirely new dimension of his creative muse on “Breathe,” his first foray into music for healing, contemplation and the spa & massage market. Recorded at 60 beats per minute – the tempo that stimulates relaxation and lulls the mind into the alpha state – he simply sat down at the piano and started to play. “Believe it or not, I didn’t write anything in advance. It was completely improvised with nothing preconceived. If you listen closely, you’ll hear certain phrases that keep coming back, but that happened organically and there is no melody. It is floating themes and meandering motifs. That was on purpose, too. If it’s too ‘interesting’ then it provokes thought. This music is to calm thought waves to induce relaxation and healing,” explained Culbertson about “Breathe,” which is now available on iTunes and through www.BrianCulbertson.com. 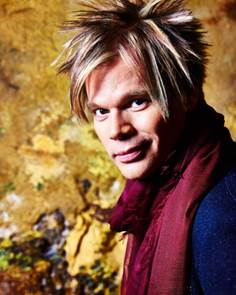 To purchase tickets to “Brian Culbertson Live: 20th Anniversary Tour” at Yoshi’s Oakland, please visit http://www.brianculbertson.com/tour/2014/9/11/oakland-ca-yoshis-oakland although both shows on Saturday, September 13 are already sold-out.